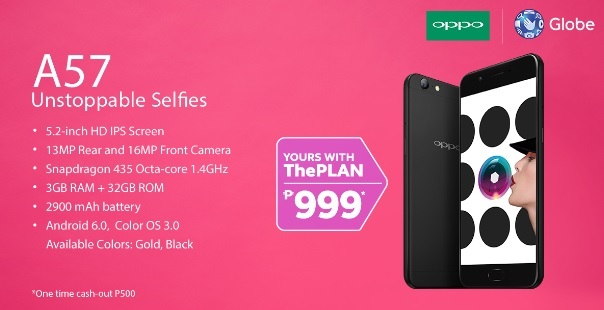 “Our OPPO A57’s competitive features and sleek form factor along with the data-rich and entertainment packed package of Globe make a compelling postpaid offer for our customers.” – OPPO Philippines Eason de Guzman, Public Relations Manager. Recently, OPPO A57 was announced as the the 2 nd best-selling Android smartphone in the world according the Counterpoint Research last July 2017. It’s balanced performance, high front selfie camera resolution and ideal size is a great value to consumers who needs a great mid-range smartphone.